The question of man's identity is one that has preoccupied philosophers throughout the ages, with there being many disagreeing schools of thought as to what makes us who we are. Some argue that we are how others perceive is, others think that our memories make the core of our identities, not to mention all the theories revolving around biology and spirituality. In other words, our identities are probably composed from a large number of different aspects, but we never really take the time to stop and wonder about it... or perhaps more importantly, what we would do if we were robbed of our identity. That's precisely the kind of scenario our protagonist faces in The Sudden Appearance of Hope by Claire North. Hope is a normal girl living a normal little life, until one day in high-school a strangeness takes over her life: she becomes forgettable in the literal sense of the word. People simply begin forgetting about her existence, to the point where even her own family has absolutely no recognition of her. In seemingly no time at all, not a single person on Earth remains who can recognize or remember Hope... something she manages to turn to her advantage by becoming a thief. After all, what better trait could a criminal yearn for than being instantly forgotten? She manages to hold on to some semblance of a life, getting used to the idea of being the loneliest person on Earth until the end of her days. But as was always the case with Hope, her fate takes a very strange turn as she encounters the one thing that will not forget her: a camera. At the same time, she hunts for the people behind an app called Perfection, telling people what to eat, how to dress, where to go, and basically how to live. She feels the world surrounding her is a plastic one, and so are the people in it. But could her condition be somehow connected to this systematic homogenization of society? We take it for granted that the people we know will recognize us tomorrow, the day after, and for years to come most likely. 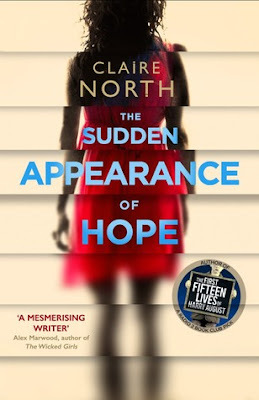 We never even consider the possibility of actually being forgotten by the world around us, but it's quite clear that Claire North has given it a whole lot of thought, at least while writing the book. She understands how to hook us from the very first pages, showing us this girl with whom we feel something is very wrong. When she reveals her condition to us, she masterfully plays up the mystery surrounding it; how did it come to pass? Can it actually come to an end? What is life really like under those conditions? She spends a good amount of time answering those things throughout the book and essentially creates an extremely detailed portrait of Hope and the unique struggles she faces. I would say that despite her many flaws, Hope still makes for quite an enjoyable and interesting protagonist we can often relate to, sharing her fears and challenges, albeit on slightly different levels. There are lots of philosophical concerns that come to the fore with as the story develops, with the question of one's identity being at the very center of them. Are we still ourselves if not a single person in the world can remember our existence? How much freedom do we have in choosing who we are when we figure in nobody's memories? How many of our decisions are truly our own? How many of our decisions do we want to be our own? Would we be more content if we were to be guided through something like the Perfection app (which actually seems like quite a plausible development in the real world)? Is non-conformance a precursor to social invisibility? There's enough to send you into a very long and taxing think-tank, that's quite certain. While there might be a profound and reflective stew to digest in this book, I want to underscore the fact that certainly doesn't lack in adventure, action and intrigue. As mentioned before, Hope turned to a life of crime and has become a thief, going for increasingly valuable targets (notably jewels) while being pursued by some baffled investigators. However, cameras and fingerprints begin to betray her and the pursuers start to get wiser as to how she must be caught. This cat-and-mouse game is thrilling to watch and brilliantly-written, creating many tense passages where you're curious to see who will outsmart whom. By her nature, Hope lives a globetrotting life of intrigue and we're along for the ride every step of the way. Additionally, her pursuit of the people being the Perfection app is an interesting thread to follow, and as you might imagine it puts Hope in the crosshairs of much more dangerous people than she could have imagined: a filthy-rich corporation very much intent on keeping its profits going at the expense of the people. While this section of the story does come with a good amount of heavy-handed commentary, some obvious analogies and criticisms, it all fits within the context of the story and ultimately enhances it. To cap things off, The Sudden Appearance of Hope is an original novel that certainly strays off the beaten path in more than a few respects. It has a unique premise, a wealth of food for thought and an engaging plot that is equal parts adventure and social commentary. I highly recommend this novel to anyone who wants to see what the fuss around Claire North is all about, as well as those who are looking for a solid philosophical thriller that won't leave them indifferent. 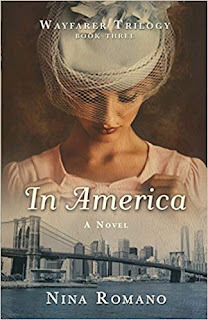 A pen name used by Catherine Webb. Catherine Webb (A pen name - Claire North) is a British author who completed her education both at the London School of Economics and the Godolphin and Latymer School. 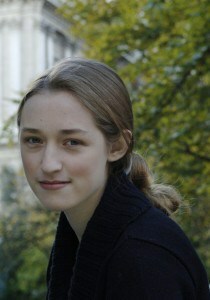 She has written under the pen names of Kate Griffin and Claire North, and amongst other awards and nominations won the John Campbell Memorial Award for Best Science Fiction Novel of the Year for The First Fifteen Lives of Harry August .